The Spectre 9951 fits some Infiniti QX56, Nissan Armada, and Nissan Titan models. See vehicle applications for details. 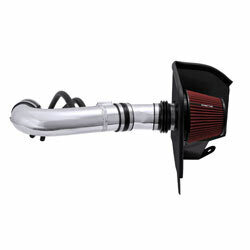 This intake sounds great. It is CARB legal in Southern California and I do feel a little bit of power when I get on it. Recommend this to all. I also have it in my Titan and I would have felt dumb buying one for $250 or more when you get a cool, well built product that sound like a banshee under your hood.